I have been a nurse for 25 years and have taken care of many patients along with their family members. As a nurse, I have developed my own strategies and approaches on how to deal effectively with family members–some of them delightful, some of them not so much. I adore my mother; and anytime I have a patient that resembles her (whether it was looks, personality or health condition) I brush by the thoughts of how the woman resembles her. That is critical so that I can continue on with whatever I need to do for her while keeping a safe emotional distance. Last week, however, I was on my way to work, never expecting to get a life-changing phone call from my husband. He asked if I was driving and then instructed me to pull over at a safe place where he could talk to me. My head raced through what could be wrong with my small number of loved ones. He sounded fine, so then my thoughts went to my three daughters and my parents. My mother had called him, instead of me, knowing I would be on my way to work at that time. She was trying to protect me from being upset knowing I was driving. She was at the hospital, and the doctors thought she may have had both a stroke and a heart attack and were doing a series of tests to determine the cause of her symptoms. After a brief meltdown in the driver seat of my Jeep Wrangler, I made an apologetic call-out to work and turned around to drive back home to wait for the next phone call, while packing a suitcase and checking for a seat to get on the next plane. 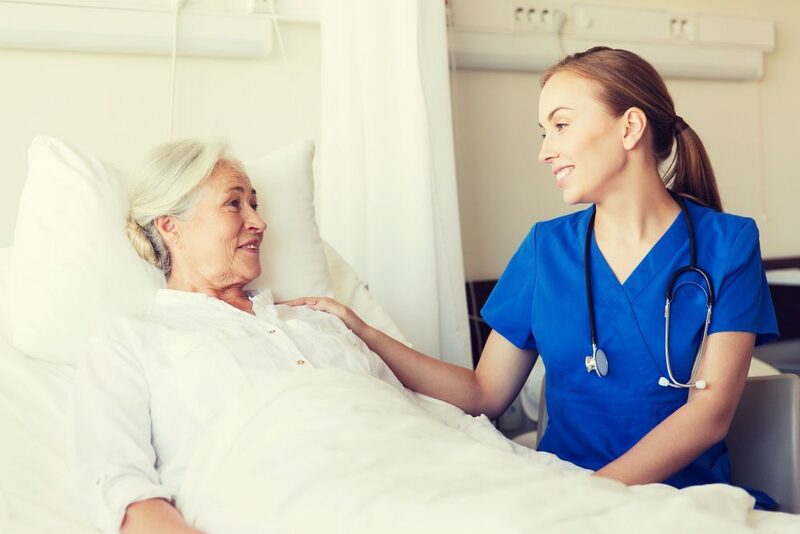 The next several days presented their own diary of hospital events, and I found myself on a rollercoaster of scanning through my own internal clinical knowledge that could only be understood by a nurse. Extensive testing was being done to try to figure out what was causing my mother to have sudden paralysis of her legs that began traveling upward toward her thoracic cavity, with none of the possible conclusions having a desirable outcome. As a nurse, you know what this means physically for a patient. When I got to the hospital I wanted to do everything I could to make my mother as comfortable as possible. At first, I focused on fixing her pillows, rubbing lotion on her hands and brushing her hair. Soon I started to realize that her lack of circulation wasn’t being addressed and she wasn’t getting enough respiratory therapy. Her cough was so weak and she became hypotensive with any adjustment of her change in position, since she hadn’t been able to move for the past several days. She was getting heparin shots, but no range of motion, no teds stockings and no compression boots. She was unable to use the Incentive Spirometer due to weakness and dizziness and unable participate in any physical therapy. By the next morning I had a chance to understand my mother’s underlying condition. I was surprised that her lack of circulation wasn’t being addressed, and I gave her nurse a “colleague reminder” that my mother needed a respiratory therapist. The day moved on with my mother’s very weak cough, lower leg edema, increasing nausea and hypotension, along with a couple more of my gently frustrated requests for the respiratory therapist. Any treatments that were being offered–pain med, P/T, incentive spirometer, even IV Zofran, were ineffective due to her minimal circulation. By now I’m getting angry and afraid. I scanned through my internal clinical data bank again trying to make sure I wasn’t going to become an over-reactive family member who makes it more difficult to take care of the patient. I was so focused on my mother I hadn’t realized why this was happening, but once I thought about it, her nurse was overwhelmed and distracted. Once I stopped to think about this it was very clear that she really had not been actually assessing my mother. She had come into the room a few times with pain med or IV Zofran. She was polite but didn’t seem to connect at all with the situation. Being on both sides, as a nurse and a family member, is a challenge I had not yet experienced. I didn’t want to be the interfering family member; but my mother was declining quickly, so I decided to think about what was the most important past experience I had with this type of situation. As a former ER nurse, I fix airway, breathing and circulation first. I knew that at this point, since my previous concerns were not being heard, that advocating for the patient, my mother, would need to become more direct to the underlying problem. I firmly went out into the hall and saw my mother’s nurse sitting at her work station, stressed and anxiously texting on her cell phone. Most people might take offense to this sight, but jumping back to the side of being a nurse, I could see that the nurse needed my support too. “OK, try to keep your cool but get the job done at the same time here!” I said to myself as I approached the distressed nurse. “I can see you are having a tough day, but my mother is crashing here and she really needs the respiratory therapist right now.” She said “OK, I’m sorry, I’m so overwhelmed with this new job and I should never have relocated here.” Now I felt like I had two patients on my hands! Within 10 minutes the respiratory therapist came and the circulation problem started getting addressed. I feel that if I were not there to advocate for my mother, she could have ended up in some real trouble. Without disclosing too many more details, I also started realizing that there were several other contributing issues that were not being addressed which I felt were also putting my mother at risk. If I were a family member only, and not also a nurse, I would have definitely voiced my concerns about the lack of care to the hospital administrator. In doing so, though, this may have really gotten the nurse (who was technically also my colleague) into an even worse position. Looking back, I think that if I could see that the nurse was overwhelmed, then the nurse manager and other nurses should have seen it too and offered to help her. Whether we are nurses, family members, or both, I think we need to advocate for each other. What would you do in this situation?